You are here: Home / Branding & Consumerism / Why 350.org? Fun Edu/Eco Activism Today For Int’l Climate Chg! 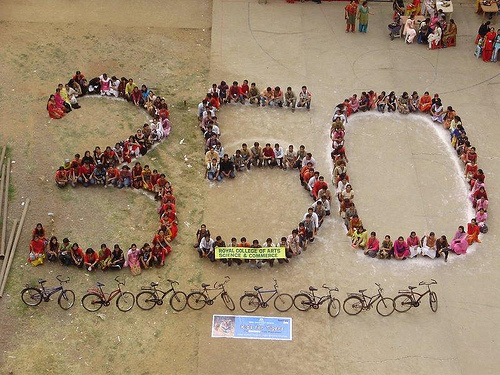 Find a local event near you (ck out the global 350 map!) or create one yourself by snapping some 350 group signage to add to the gigantic “visual petition,” using media as the distribution channel to play a vital role in positive steps toward change and help kids understand the big picture. (FAQs to help) Yep, today is the global day of action where children can ‘act out’ for International Climate Change via 350.org and turn our blue marble into a worldwide stage of doers and change agents eager to impart the vital message of reducing the carbon dioxide in our atmosphere to 350 parts per million. Why 350? 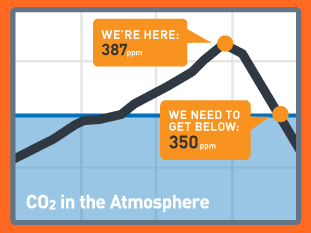 That’s the number our world’s top scientists say is the safest upper limit for carbon dioxide on our planet, and we’re already at 387ppm, so we need to get DOWN to 350ppm FAST and send a strong signal ahead of the United Nations climate change conference in Copenhagen, Denmark, in December that if we all act together as one world, we CAN do this! Locally, here in San Mateo, for example, kids can don goggles, flippers, wetsuits, mermaid outfits and such to represent a nautical theme as in ‘rising sea level’ right smack dab in our ritual downtown corner spot on 5th Ave. between 3-4pmPT. Check out the amazing gallery of photos/slideshows taken from the most remote spots on the planet showing how kids throughout the globe can take action and add their visual voice to the importance of climate change CO2 reduction to turn back time to 350ppm. 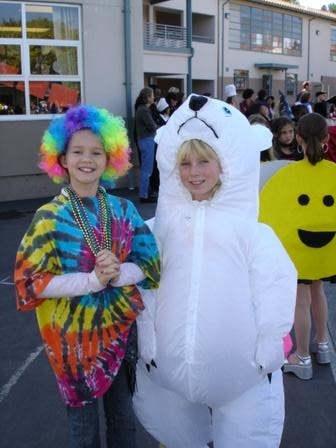 From polar bear ice cap meltdowns to the need for peace on the planet to work together as ONE for climate change, kids can ‘have fun and do good’ in fresh, innovative ways that impart math, science, environmental studies, civics, social studies, and art all on one amazing day! You’ll be teaching kids about the power of ‘one’ multiplied by millions, the history of how we got here and what we can do to reverse the trend, and the science behind the message of 350 to spread it ‘virally’ to future thought leaders and stewards of our planet! At Tactical Tech & 350.org’s Project Mobilize for example, they’ve created a multi-country text message system allowing the public to participate in the global debate on climate change from hither and yon. But as Nature Conservancy indicates in the same blog post, the innovation and inspiration of groups like the Tactical Tech teams using texting via FrontlineSMS, a free software designed for NGOs, run on regular computers gives us all hope that mobilization can be accomplished no matter where you are from Mumbai to Bombay! I’m hoping the thousands of people at Neil Young’s Bridge Benefit rock concert tonight will be pressed into action for 350 right then and there too! Leave a comment with your antics (or a link to your visuals!) for how YOU impart the 350 message to children today, and enter into our recycled book drawing for “What Kind of World Do You Want?” along with some VERY cool eco-picture books for kids. A favorite of mine pertinent for today? 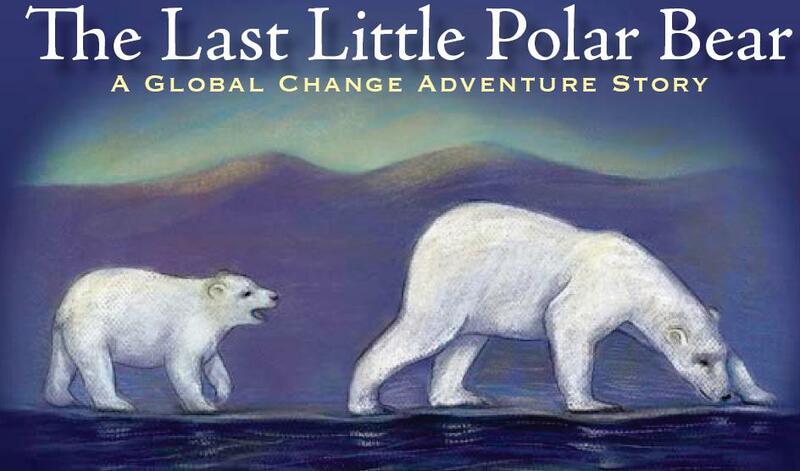 Climate change classics like The Last Little Polar Bear, by fellow NextNow colleague & Digital Earth champion Dr. Tim Foresman. Small efforts often lead to more efforts and sometimes greater efforts. And pretty soon, each of us is a part of the solution in our own way. And best of all, most of the time it’s fun. In the course of planning this climate action I have experienced the power of taking action – like a pebble falling in water, the ripples never stop reaching out. .-= Hostelling´s last blog ..Primo Hotel =-. Hostelling has a way of bringing together like-mindedness and fun by spreading the power of good and ‘pebble ripples’ too…thanks for taking the time to comment. My brother is couchsurfing in Tampa right now spreading his Earthseeds 2020 eco vision too so know exactly what you mean. major topics of our time.